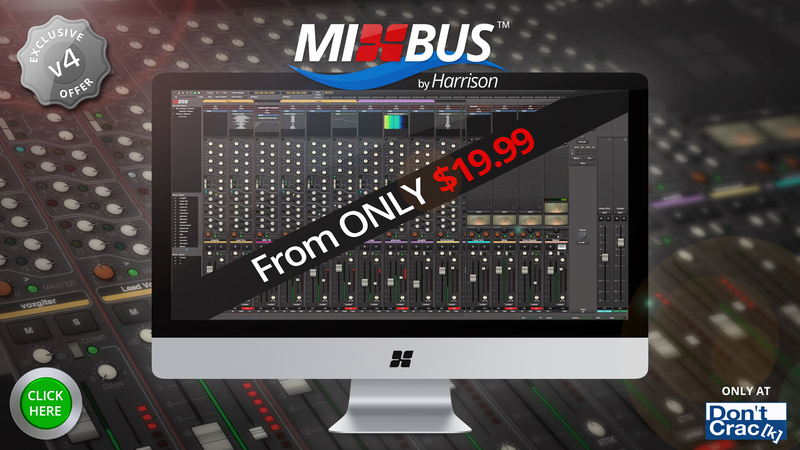 We at DontCrack are proud to announce that we have partnered with our old time friends at Harrison Consoles to make available 2 of their products (that we truly believe are exceptional) at a No Brainer Cost; The Harrison Mixbus and the Harrison Mixbus 32C Digital Audio Workstations (DAWs). Over the last 40 years, Harrison consoles have earned, throughout the world, an enviable reputation for excellence. This is no accident. Such a level of acceptance can only be gained as a product proves its maturity through performance in the field. This real-time reputation is, without a doubt, the best measure of a product’s true worth. The world renowned Harrison 32C analog console was used on records by Michael Jackson “Thriller”, Paul Simon “Graceland”, Janet Jackson, AC/DC, ABBA, Queen, Led Zeppelin, ELO, Genesis, Blondie, and Supertramp, to name a few, and was instrumental in establishing the sound of those amazing records. Harrison Mixbus32C is as relevant today as the first Harrison 32 series consoles were 40 years ago. Harrison consoles are dynamically mature products – products that retain the benefits of long, successful experience while incorporating the best of all the new technology. Mixbus32C is designed in the most operationally ergonomic manner possible. Mixbus was hailed by the industry as a breakthrough for “in the box” mixing by incorporating decades of console building experience into a cost effective mixing platform for today. Mixbus32C takes that concept to the natural next step by using the full resources of today’s technological advancements to precisely emulate not only the operational advantages, but to faithfully emulate the analog performance of the traditional analog console. *The Mixbus 32C provides more Equalization and more Busses to take full advantage of the DAW’s amazing mixing capabilities. Checkout the cool Mixbus 32C video below ! This entry was posted in Audio Software, DontCrack, Event, Plug-ins, Promotions and tagged DAW, Harrison, Mixbus, Mixbus 32C. Bookmark the permalink. 2 Responses to NAMM Special – Harrison Mixbus from ONLY $19.99 ?